The NEBOSH National Certificate in Environmental Management is an examined core qualification designed to provide a sound foundation in environmental management knowledge. Prerequisite(s): No previous environmental knowledge is required although it should be noted that the assessment includes a requirement to write a short report. The qualification is appropriate for professionals, managers and supervisors working in any industry with environmental impacts. The NEBOSH National Certificate in Environmental Management is an examined core qualification designed to provide a sound foundation in environmental management knowledge. It is aimed at managers, supervisors and employees based in the UK, who have responsibility for managing environment issues, as part of their day to day duties. The qualification focuses on UK law and environmental management systems. The qualification is appropriate for professionals, managers and supervisors working in any industry with environmental impacts. 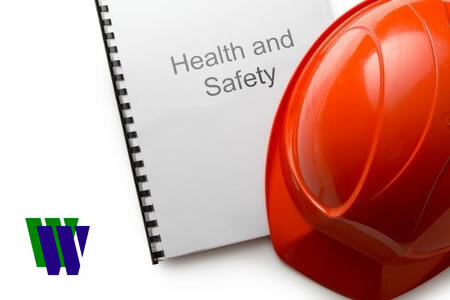 In addition, those working in health and safety in other occupational settings, but who require additional environment-specific knowledge may also benefit from the course. It also provides a sound basis for progression on to the NEBOSH National Diploma in Environmental management. NEBOSH recently announced that the Certificate in Environmental Management is accepted by The Chartered Institution of Water & Environmental Management (CIWEM) to meet the requirements for Technician Membership (TechCIWEM). The NEBOSH National Certificate in Environmental Management focuses on UK environmental laws and International management systems, such as ISO 14001. It covers the practical issues of managing environmental risk. The syllabus takes a risk management approach based on the best practice and international industry standards, including; Environmental Management Systems and Impact Assessments, Sources and use of energy and energy efficiency, Control of pollution, Planning for and dealing with environmental emergencies. The course is presented as 1 x 1 week block. Unit EC1 is a taught unit assessed by a two-hour written examination. Unit EC2 requires the candidate to carry out an environmental review of a workplace or organisation and produce a justified action plan to improve performance. This practical application must normally be completed and returned to the Course Provider within 14 days of the written examination. Block Release [5 day] course – 1 x 1 week block and 1 day for the examination. Please see our course calender for dates. The price includes the course text books, additional notes, NEBOSH fees, refreshments and lunches. [Please be aware that lunch is not included in the course price at Catterick, because the venue is unable to provide it].